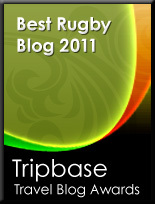 TOTAL FLANKER...a rugby blog: Sarries and Chiefs the remedy to England's ailments? Sarries and Chiefs the remedy to England's ailments? 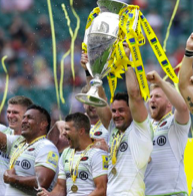 Belated congratulations to Saracens on a superb performance on Saturday against Exeter to take the Premiership title. The Chiefs, who truly have been excellent all season, should really take it as a compliment that Sarries had to play so well to win. What was so heartening was that, for both teams, so much English-qualified talent was in evidence. Farrell, the Vunipola brothers, Itoje, Wray and Alex Goode led the way for Saracens while Ewers, Hill and Sam Simmonds were all pretty prominent for Exeter. And, judging by the powder puff efforts of the English XV against the Barbarians the following day, Eddie Jones could certainly do worse than injecting his team with a dose of Saracens and Exeter medicine. Yes England were nowhere near full strength, but the meek nature of the display against a scratch team who had been on the lash all week (in what was England's fourth defeat in a row) hints at deeper issues. Success on the forthcoming tour to South Africa is now beginning to look more and more critical for Eddie Jones.